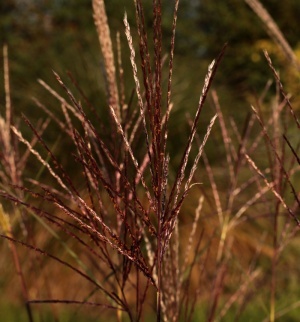 Spectacular, clump forming autumn flowering grasses with good winter presence. Many look good from August to March when they need cutting hard back, to near ground level. No staking required especially in exposed gardens. 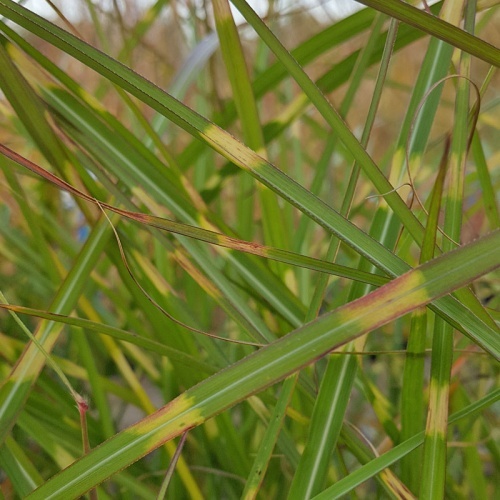 We are currently in the process of collecting Miscanthus, with the hope of applying for National Plant Collection ® status in the future. We already have c. 100 varieties and are working on obtaining more - there are at least 250 named forms now! We are also researching all the varieties, specifically to try and find out the origin of each form. 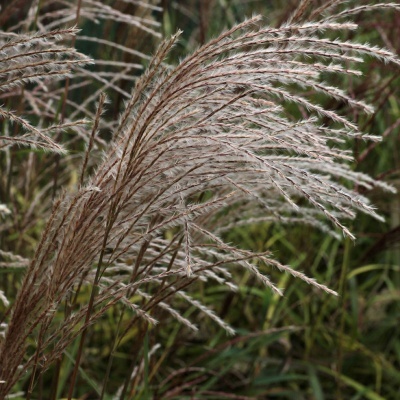 Over the next couple of years we hope to start planting the Miscanthus collection out in a new area of field adjacent to the nursery which will enable all our varieties to be seen together. 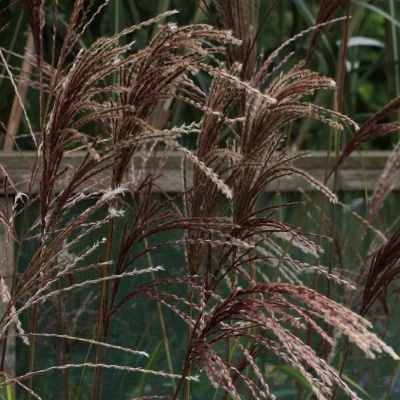 Miscanthus come in many different shapes and sizes, though the basic form doesn't change much: tight clumps with often woody bases, upright stems clothed with leaves to about 75% of their height, the flowers held above the foliage in late summer and autumn. The height, uprightness and flower details are the main differences between varieties but there are a large number of leaf variations too, both variegated leaves and width of leaf. There are a very small number of forms that are not clump forming. 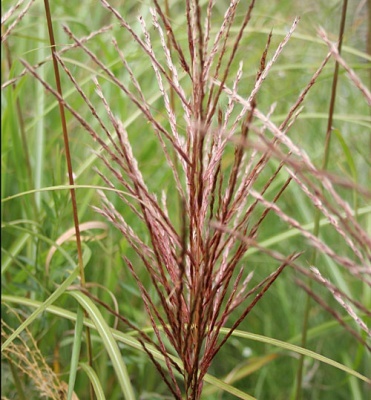 Generally speaking Miscanthus are very long lived, trouble free garden grasses. 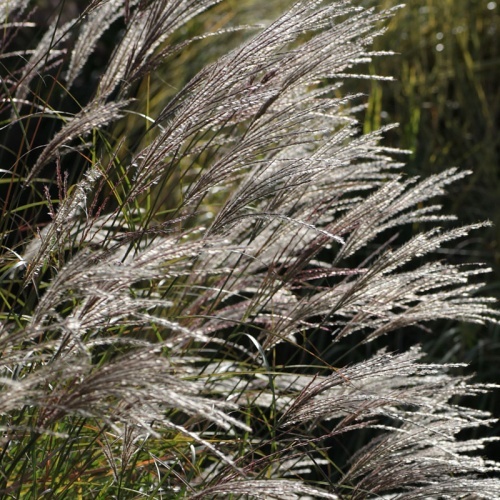 We recommend allowing Miscanthus at least 2-3 growing seasons in the garden before deciding if they are going to be okay as they do take some time to establish a root system and to start growing to their full potential. 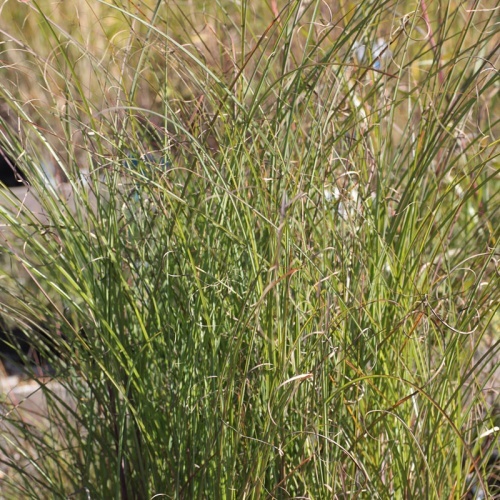 On poorer, drier soils consider the forms with more narrow leaves as these tend to be more drought tolerant. A hybrid between M. sinensis and M. sacchariflorus named for Ernst Pagels. 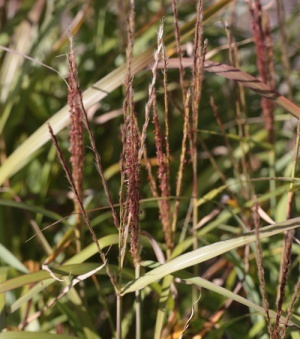 Broad, greyish-green, leaves and elegant flowers to 2m. Good soil in sun. 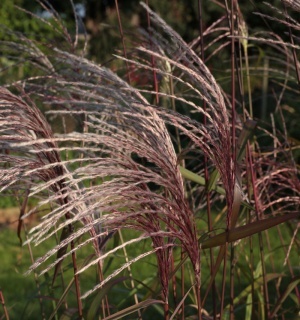 A new and very unusual Miscanthus - totally evergreen for us! Early flowers of golden buff on dense bushy plants to 1m. Looks like M. flavidus. Good soil in sun. From Taiwan comes this more or less evergreen species with a densely tufted habit of light green leaves and lots of golden flowers to 1.5m in autumn. Good soil in sun. A new name for one of the plants known as 'Yakushima Dwarf'. 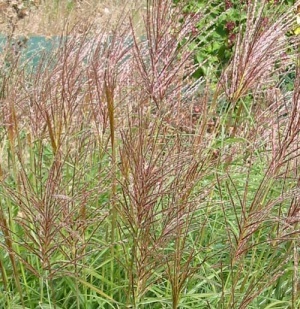 Clumps of fine foliage and pinkish silver flowers to 90cm. Average soil in full sun. Named by Christian Kreß this selection has silvery pink flowers that arch on the top of upright stems to 1.5m. Not a big grower. Good soil in sun. Bright creamy white variegated leaves on this form which will produce decent pink silky flowers that fade to golden tan for the winter. Clumps. Best in good soil in full sun, 1.8m. A dwarf form with golden flowers to 60cm. The flowers emerge frizzled and as they turn to seed the whole thing looks like dreadlocks! 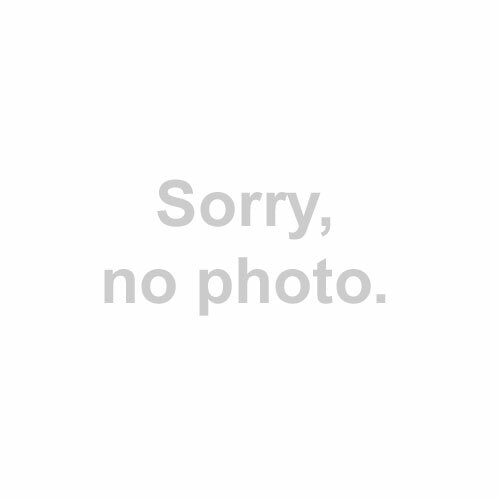 Average soil in sun. A selected form of 'Yakushima Dwarf' making mounds of fine foliage and pinky flowers in late summer and autumn. Good silvery seedheads overwinter. Average soil in full sun. 1.2m. 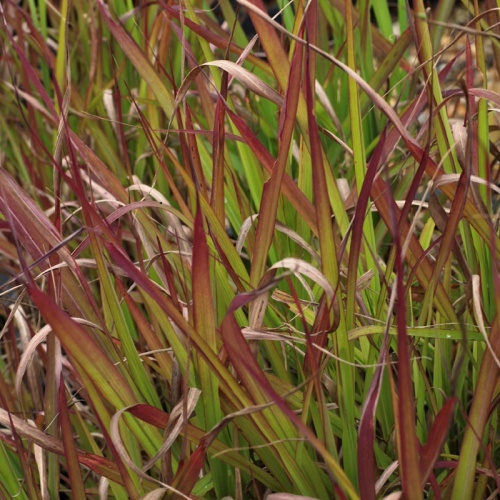 This French variety has distinctive rich green foliage and red flowers that fade to a soft blonde for the winter. A more open habit than many. Good soil in sun. An attractive but rarely seen selection to only 1.5m. Upright columns of deep olive green foliage with fluffy, silvery flowers with a red-purple base in autumn. Ordinary soil in sun. 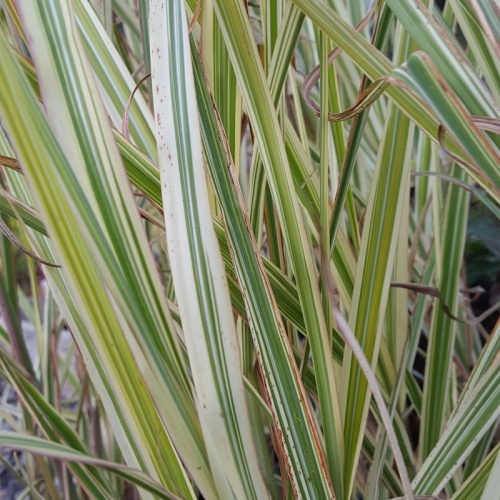 A very fine foliage form, rarely flowers in the UK but it is very good for the form and effect of the foliage. 1.5m. 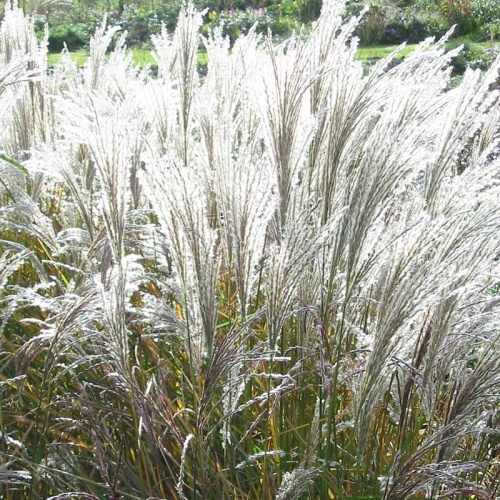 A mid-sized plant with golden pink flowers which turn a clear silver for late autumn/winter, very pretty. 1.5m. Average to good soil in sun. Medium green foliage and large pink/silver flowers to 1.5m. Average to good soil in sun. 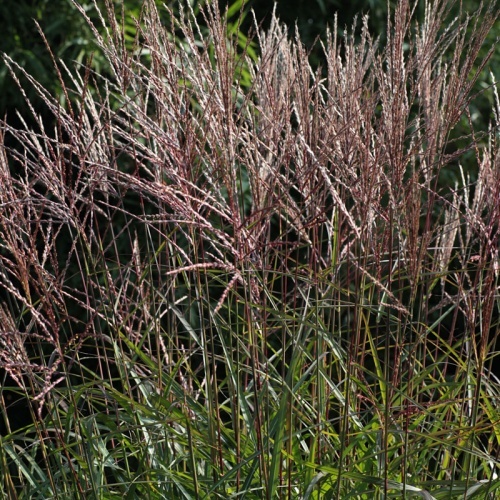 An excellent narrow leafed variety which will produce a tight clump of upright stems topped with golden pink flowers in late summer and autumn. Good winter effect. 1.4m. Average soil in full sun. Dwarfish form to about 1.2m. Reddish plumes fade to silvery grey for winter. A good variety for drier soils as it has narrower leaves. Very broad leaves and chunky pink flowers. Best for autumn colour. 2m. Decent soil in sun. 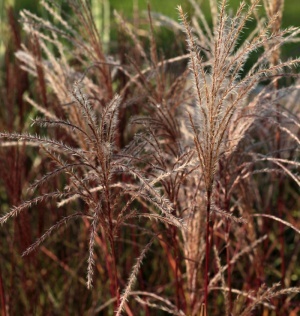 A rare medium sized variety, typically with light green foliage and silky plumes of reddish flowers in September that turn silvery as they go to seed. Average to good soil in sun. 2.1m. 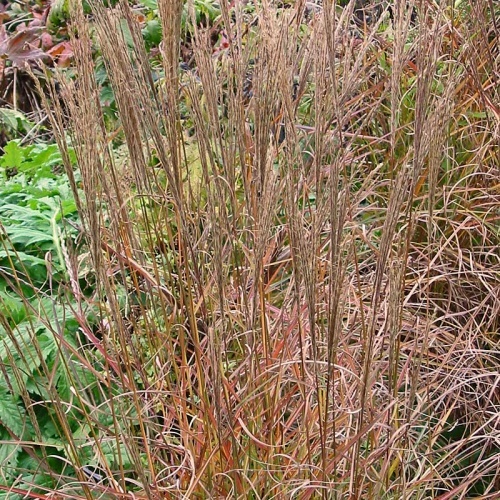 A recent introduction, this has soft green leaves that colour very well in autumn, mostly red and purple. 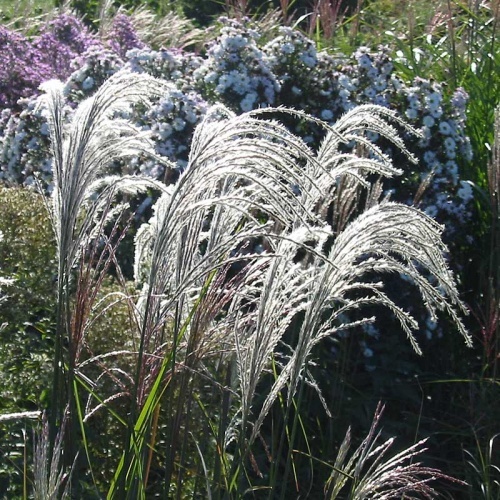 Sprays of purple flushed silvery flowers from late August into autumn to 1.2m. Good soil in sun.